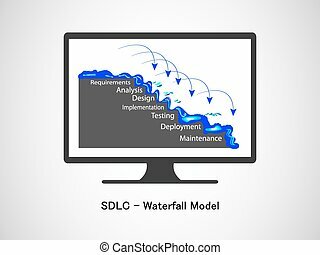 Waterfall software lifecycle model. 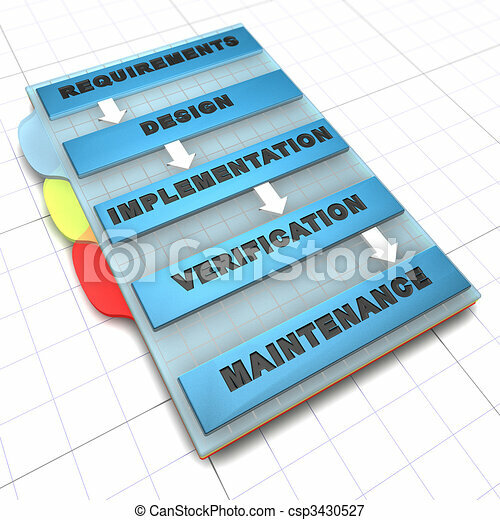 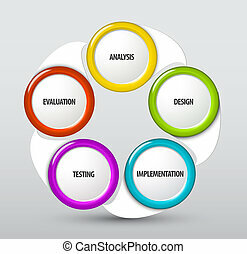 Sequential software development process. 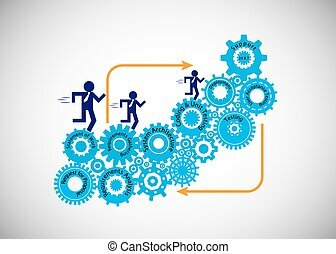 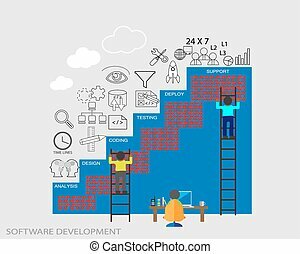 Concept of Software Development Life Cycle, The developer, business analyst, testers and support engineer running on the Cogwheel, each Cogwheel represents a phase in the Development life cycle.